One or two chapters sought from U.S. practicing academic, public, school, special librarians, LIS faculty, sharing practical know-how about what works for Women/ Men/LGBTIQ to meet patron gender information. Chapters sought useful to public, school, special librarians, LIS faculty: proven, creative, case studies, how-to chapters based on experience to help colleagues with innovative workshops, outreach, grants, resources. Topics could include but are not limited to: getting boys to use the library; showcasing GBLTIQ voices; programming, successful examples, intentions and outcomes; acquisitions, to support, showcase, represent; wage gaps; women’s studies librarianship. No previously published, simultaneously submitted material. One, two, or three authors per chapter; each chapter by the same author(s). Compensation: one complimentary copy per 3,000-4,000 word chapter accepted no matter how many co-authors or if one or two chapters: author discount on more. The Journal of New Librarianship is pleased to announce that it is accepting submissions for its inaugural issue, anticipated for Fall 2016. Submissions may include, but are not limited to: Solicited articles; Scholarly Articles; Essays; Experience and opinion pieces; Media (i.e., podcasts, video, etc.) relevant to innovative practices in librarianship; Book reviews; Technology reviews; Letters to the Editor on topics relevant to the field; Data sets; Manifestos; Extended scholarship (Greater than 15,000 words); and Interviews. Please see the attached documents for more details regarding the call for submissions. This launch is the result of collaborative efforts among colleagues within the field of Library and Information Sciences. There is a need to offer quality literature in our field in an open, independently produced journal. Beyond that, we believe that the library is meant to set an example for academia. Free and open access to information and innovation is crucial to the future of our institutions and profession. By providing an outlet that mixes both traditional and disruptive forms of scholarly and professional communication, we can change the way our profession shares and leads. Please visit http://newlibs.org/ or email info@newlibs.org for more information. habits and the way we do work and services. pages total in length in the IEEE format. We invite librarians, library and information science students and educators to submit a case study for the new book, Case Studies in Academic Librarianship Management, to be published by ALA Editions and edited by Tammy Nickelson Dearie, Michael Meth, and Elaine L. Westbrooks. In library and information science, case study research has been used to study reasons why library school programs close (Paris, 1988), to understand how to develop a computer literacy course at a University (Price, 2000), and to examine the information seeking behaviors of library and information science faculty (Abouserie, 2007). Researcher Robert K. Yin defines the case study research method as an empirical inquiry that investigates a contemporary phenomenon within its real-life context (Yin, 1984). The three editors have participated in a variety of leadership programs, and we have noticed the absence of case studies written specifically for our context as academic librarians. 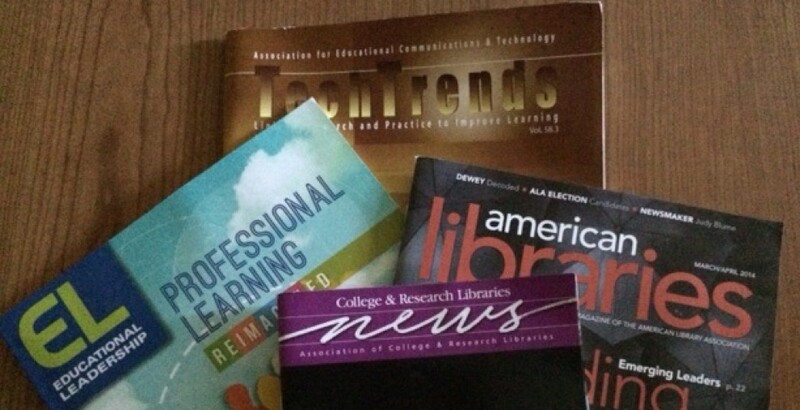 In order to develop future leaders in our profession, we must provide librarians with the skills necessary to succeed in the complex world of academic libraries today. The use of case studies to teach leadership skills is one method that can be used to transfer knowledge in a practical way. Case studies provide the basis for the application of ideas because one has examined contemporary real-life situations carefully laid out by experienced professionals. We are looking for case studies from a variety of library practitioners in academic librarianship. Case studies must present a story with data in a publicly accessible way to lead the reader to apply the experience in his or her own library. We hope that this collection of case studies will have a broad audience ranging from educators to aspiring and current academic librarians. As such, we are looking for case studies from a variety of library practitioners in academic librarianship. Some potential topics are listed below, but we do not consider this the definitive list. A case study in this publication will be between 10 and 30 pages long. The case study should help the reader gain insight into a vexing problem in academic libraries and how the problem was resolved. Typically, a section of the case study would be dedicated to setting up the context in which the problem occurs, a further section would highlight some of the specific complications and circumstances that make this an issue of interest, and ideally the case study would conclude with a discussion of how the issue(s) were resolved, with a brief commentary on what could have been improved. In terms of style, we are looking for case studies that are engaging and accessible. At this stage of the call, we would like for authors to submit proposals briefly outlining the issue, and explaining why it is important for others to have access to their particular scenario. study that could lead to identifying personal/confidential information. The editorial team is available to advise and counsel authors. We also reserve the right to request or make changes where we feel potential conflict may arise. Please send a title, up to 200 word abstract, and contact information to the editors at casestudiesinlibrarianship@gmail.com by June 15, 2016. Priority will be given to those who submit their proposals by May 31, 2016. Those selected will be notified by June 30, 2016. Accepted proposals will be due to the editors by August 15, 2016 and the accepted chapters will be published in Case Studies in Academic Librarianship Management, ALA Editions.